Hi Friends! Last week I shared our Family Photo Session Adventure and to my delight I had more than one descent photo to choose from, which never happens! The Cherry on top - I already have them in hand and I have half of them mailed out already! I know, crazy fast!! 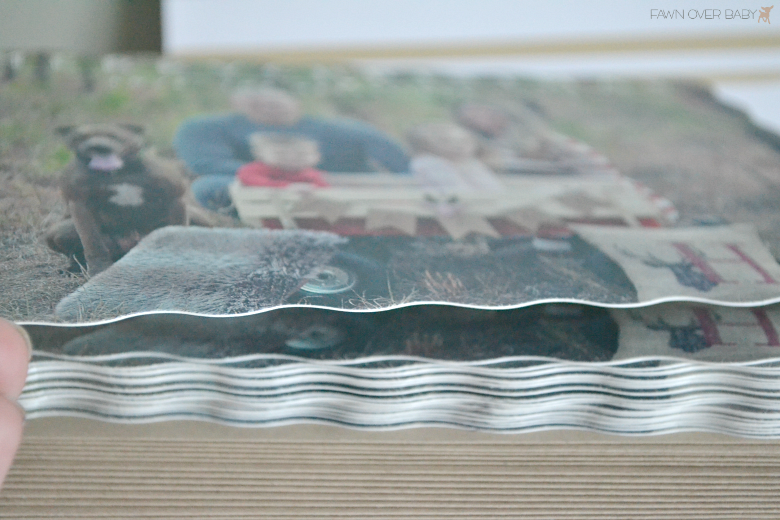 Thanks to MINTED. 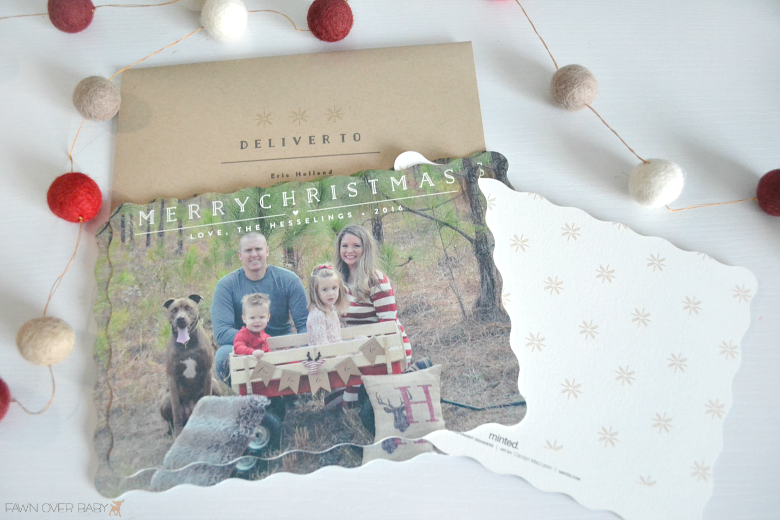 's Holiday Card Shop the process of uploading our photo, choosing a design and adding their convenient FREE RECIPIENT ADDRESSING to our order made it a headache free process and took no time at all! I chose a simple, yet whimsical design from graphic artist, Carolyn Maclaren! 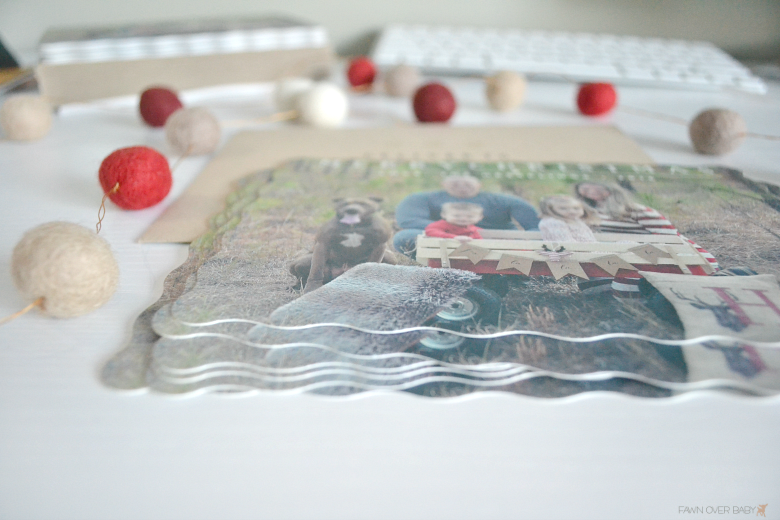 She has a beautiful collection of award winning card designs in MINTED's AMAZING Artist Catalog. 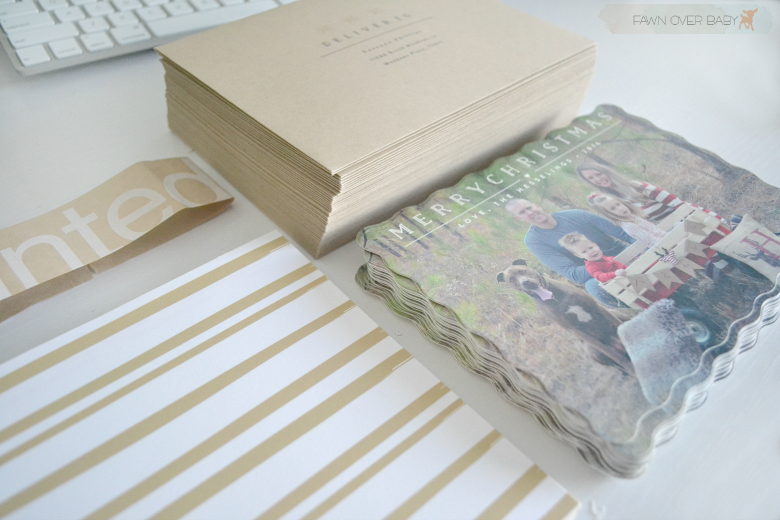 MINTED thinks of everything when it comes to a beautiful stationary package. 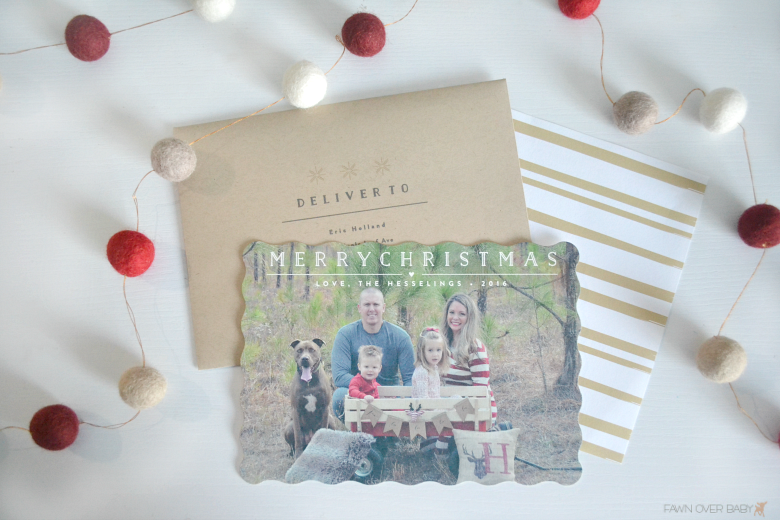 After you work your way through the card design process using their lovely FIND IT FAST tool, you are offered a variety of "add-ons" to fully complete your Christmas Card Suite! 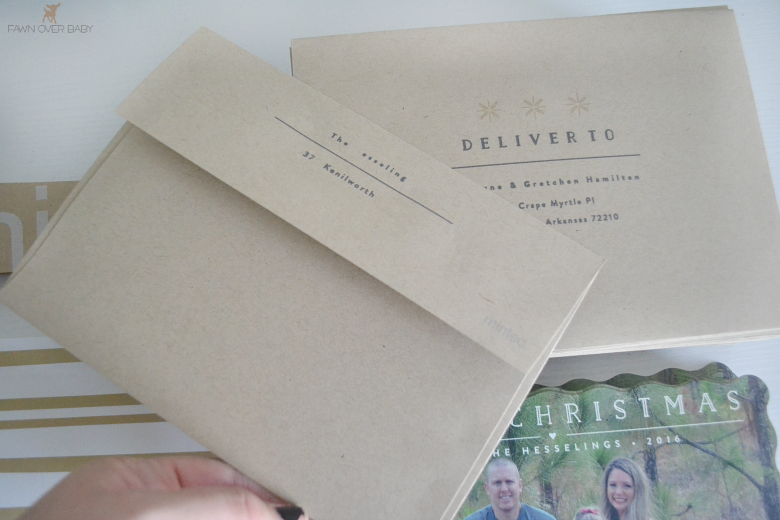 From Coordinating envelopes & envelope liners to their FREE RECIPIENT ADDRESSING feature that is also designed to coordinate perfectly with your card design, MINTED leaves no stone unturned as far as customer convenience. Did I mention their quality? 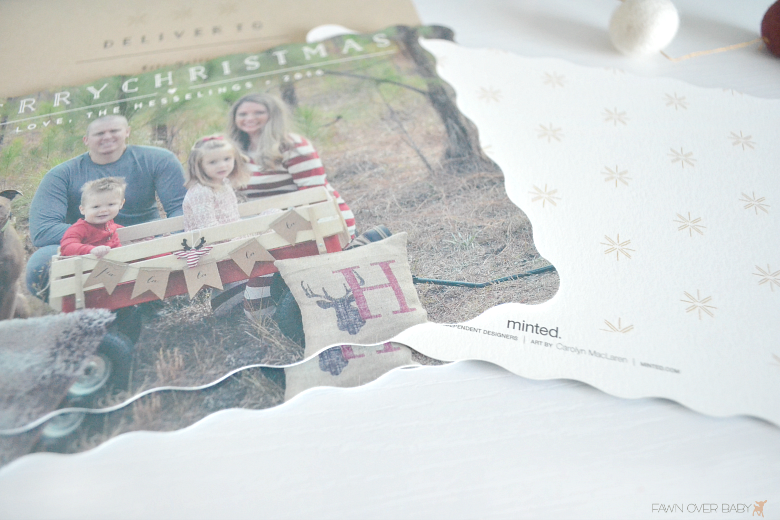 MINTED's thick high quality paper comes in a variety of sizes and formats that allow you to customize and create a Christmas Card unique to your taste and style! I chose to shape our card using the wave-frame silhouette. 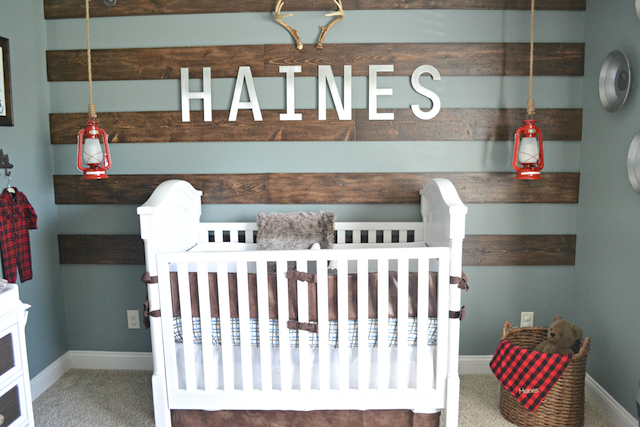 It adds a fun element to the whimsical theme we went with this year. 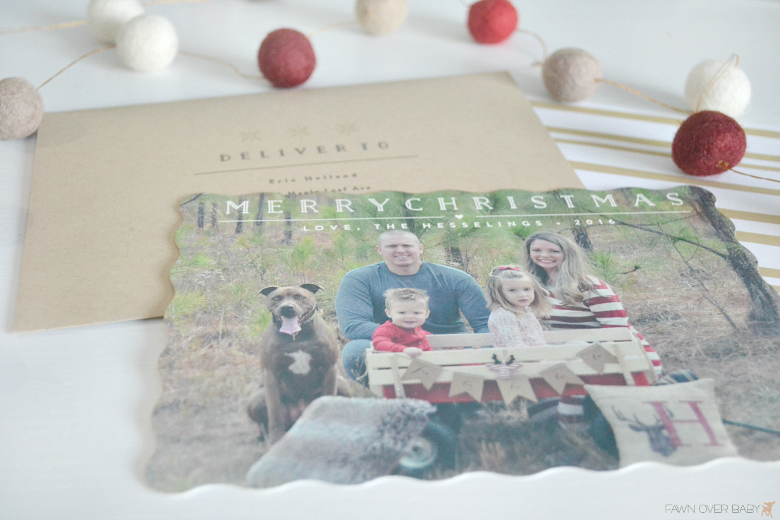 With MINTED, your Christmas Card doesn't just stop at photo upload! 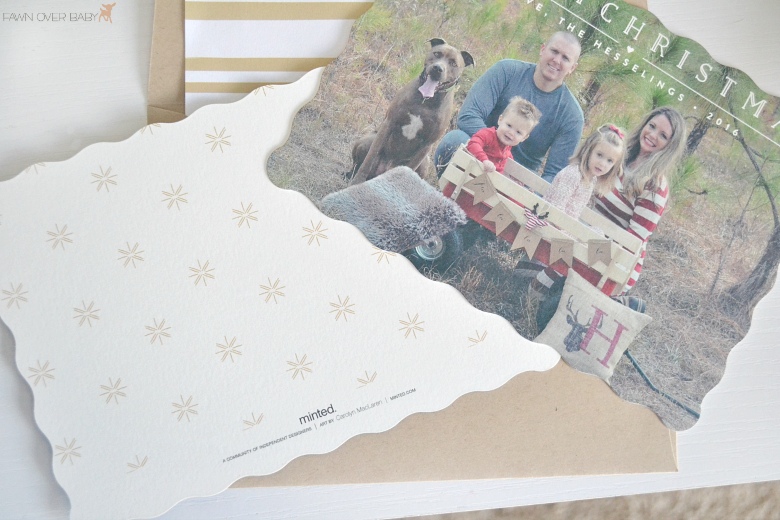 You get to accessorize your card suite with accents that make your Christmas Card not just another envelope to open, but a holiday treat to display! Return Address is also an option that makes mailing them a breeze and another weight lifted off your shoulders! 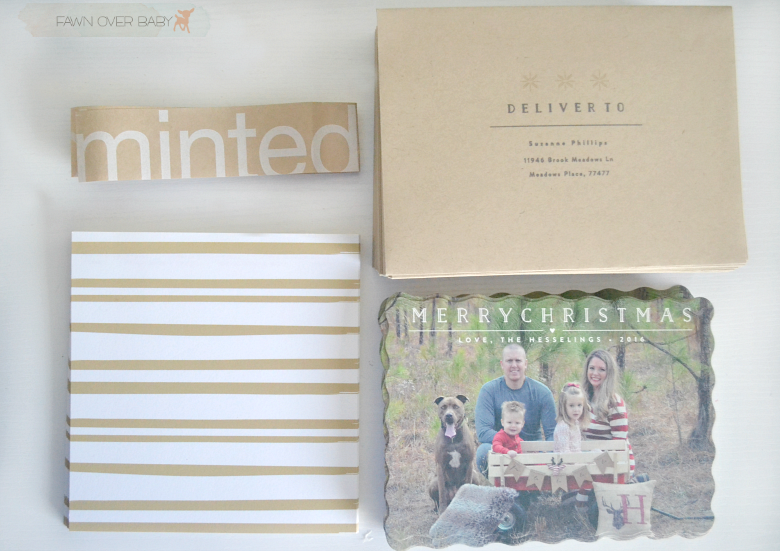 For the past few years, we have used MINTED for all of our stationary needs and couldn't be happier with their easy-to-use website and amazing customer service! 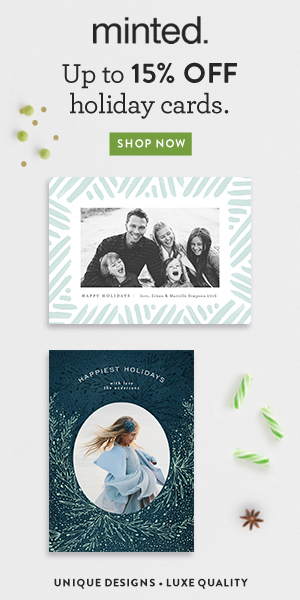 Today MINTED is offering all customers 15% OFF of their holiday cards as well as FREE Custom Envelope DESIGN along with FREE RECIPIENT ADDRESSING! 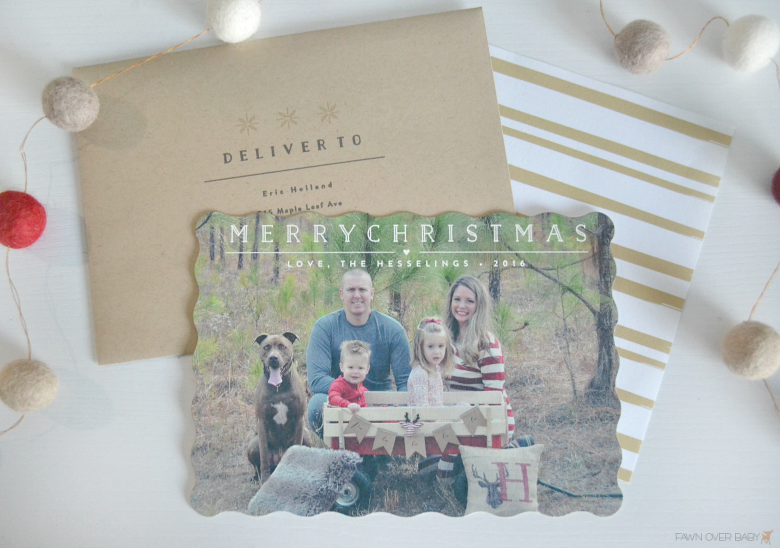 It's not too late to surprise your loved ones with a beautiful Christmas Card Treat, so head over now and allow your Holiday Spirit to express it's creative side!